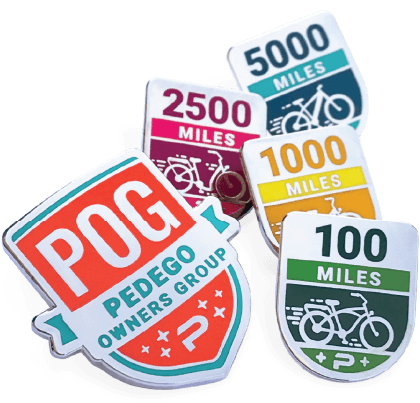 So we’re taking customer care to the next level with the official Pedego Owners Group (POG), and you’re invited to come along for the ride. 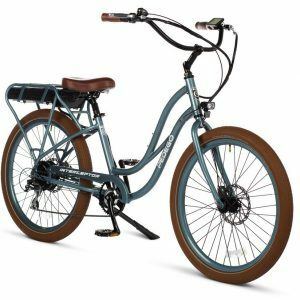 Once you buy a Pedego (or if you already have one) you can enroll as a lifetime member of the Pedego Owners Group. This is an exclusive club that costs nothing to join and provides you with premium access to free stuff and news about local POG rides and events. Track your smiles miles with collectible pins. Mile Markers are a fun way to keep track of how far you’ve ridden your Pedego. Your friends and family are sure to be impressed! They are high quality pins that can be attached to your shirt, hat, bag, or anywhere else you can dream up. Simply fill out the quick and easy form and we’ll send you a FREE mile marker pin. The Pedego Owners Group is a warm and fun-loving community. One of the best ways to get connected is by attending local events and group rides. When we’re not quite big enough to have a Palooza in Canada, we hold a Picnic instead! The first Pedego Picnic was held in Nelson, British Columbia, in September 2018 when Pedego owners rode to beautiful Lakeside Park to compete for prizes and eat poutine. 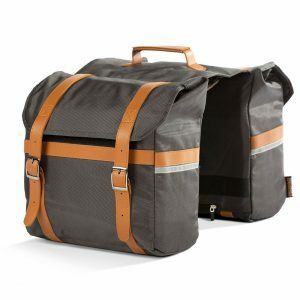 Pedego Picnics are welcome to all riders of electric bikes, no matter what brand.